Environmental Due Diligence | Geo-Technology Associates, Inc.
GTA offers comprehensive Environmental Site Assessment (ESA) services including Phase I and Phase II ESAs. GTA also provides asbestos-containing material (ACM) surveys, lead-based paint (LBP) surveys, underground storage tank (UST) closure assessments, methane and landfill gas assessments, and property condition assessments. GTA has trained and qualified professionals to perform comprehensive environmental services required by its clients. 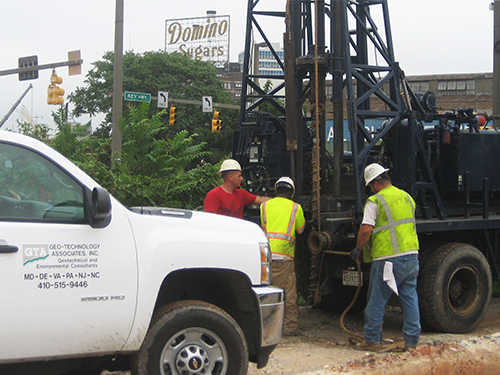 We maintain a staff of environmental scientists, engineers, and geologists throughout the mid-Atlantic region. Our personnel are OSHA-trained and equipped with personal protective equipment to direct and conduct on-site investigations. 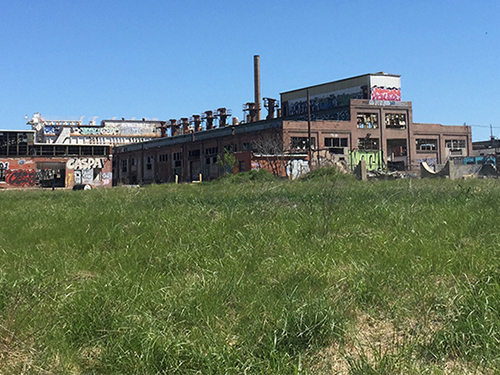 A prior Phase II Brownfields Assessment (Phase II) performed by the Maryland Department of the Environment (MDE) identified metals and polycyclic aromatic hydrocarbon (PAH) impacts in the soils of the subject property. The MDE subsequently issued a No Further Requirements Determination (NFRD) that included the restrictions on future soil excavation and disposal requirements in 2001. Future development of the subject property required the excavation and removal of some of the impacted material from the subject property. Therefore, GTA prepared a Phase II ESA, which further characterized soil conditions. Based on the results of the Phase II ESA, GTA prepared an Environmental Management Plan (EMP) to manage environmental issues in accordance with the NFRD. The EMP was approved by the MDE and was implemented. The subject property historically was undeveloped until the 1920s, when it was used for steel polishing, metal fabrication/works, and production until 2009. Warehouse structures, office space, loading areas, machining areas, a railroad spur, and various storage structures have been located on the subject property. Historical aerials and maps indicate portions of the building’s floor were earth and concrete at various times during its use as metal fabrication and polishing operations. Laboratory analysis of samples collected from the site reported elevated concentrations of metals (arsenic, lead, and mercury) and PAHs in soil. In addition, one diesel UST was discovered at the subject property. The UST was removed during site development and property closed through the MDE’s Oil Control Program (OCP). The proposed remedy included removal of metals and PAH-impacted soil, soil-vapor monitoring, UST removal, and excavation restrictions enforced by the project manager. GTA monitored and documented these activities and this documentation was provided to Maryland’s Voluntary Cleanup Program (VCP) and the MDE subsequently issued a new NFRD. The Reserve at Gwynedd residential subdivision site is located in Upper Gwynedd Township, Bucks County, Pennsylvania. GTA augmented previous site investigations and remediation activities in order to provide closure assistance pursuant to the Pennsylvania Department of Environmental Protection and Act 2 for this residential home development. 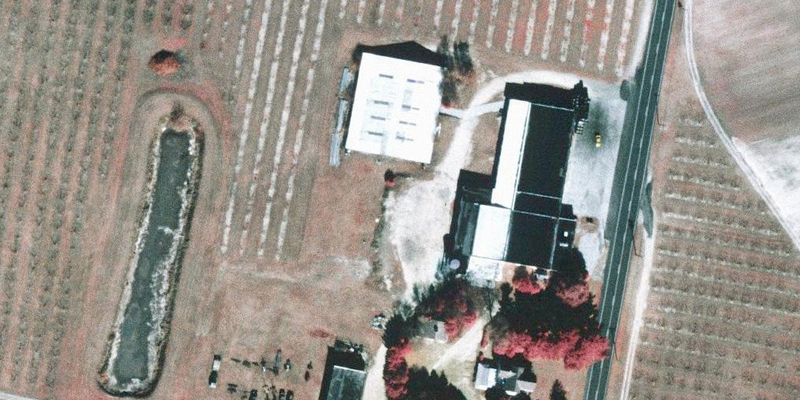 The subject site was historically utilized as a trailer manufacturing facility and a frozen food and warehouse and distribution center until the site was vacated in May 1999. 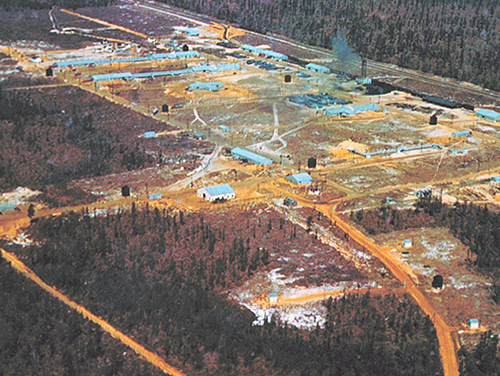 The site had the following recognized environmental conditions identified: trench system for wastewater disposal, oil/water separators, waste lagoons, former waste oil drum storage areas, ten former motor oil, waste oil, and motor fuel aboveground storage tanks (ASTs), underground storage tanks (USTs), ammonia/refrigeration systems, servicing and maintenance of vehicles and equipment, on-site fueling and truck washing areas, petroleum discharges to the on-site streams, former waste oil pits, diesel fuel spills, and documented soil and groundwater contamination. The scope of GTA’s investigation included Geoprobe® direct push drilling and conducting exploratory test pits on areas of the site identified as areas of concern. Surface and subsurface soil and/or groundwater samples were obtained from various locations and submitted for laboratory analysis. In addition, a surface water and stream sediment sample were obtained for laboratory analysis from an on-site stream. 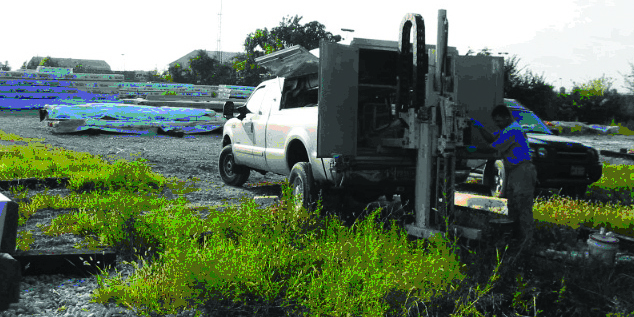 Based on GTA’s investigation additional soils were removed from the subject property, a soil and groundwater management plan was developed, engineering and institutional controls were implemented, and remaining impacted soil and groundwater were addressed by the attainment of PADEP approved site-specific standards. 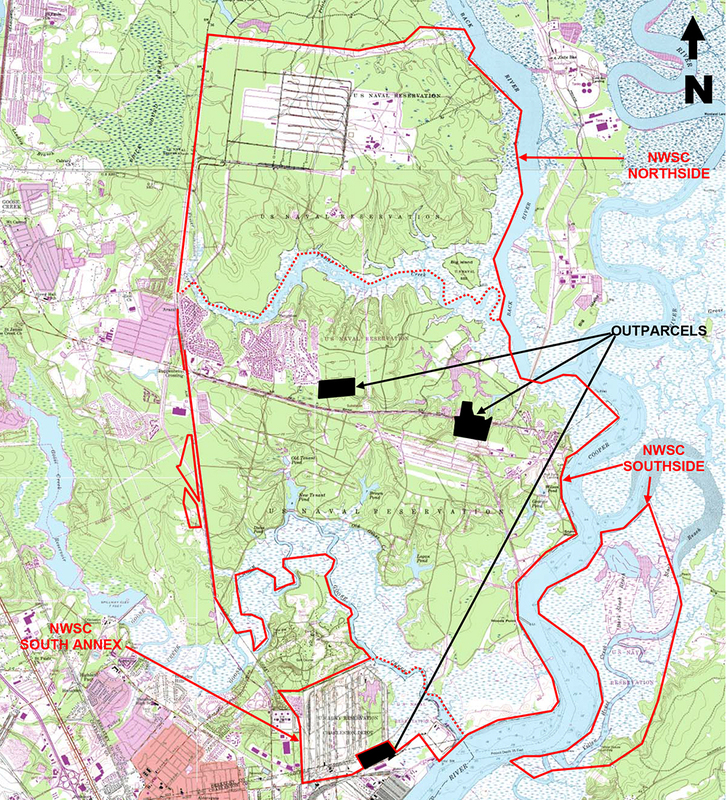 GTA performed an Environmental Condition of Property (ECP) study of the Naval Weapons Station (NWS) located in Charleston, South Carolina. The ECP was prepared for Naval Facilities Engineering Command Southeast. The NWS encompassed approximately 17,000 acres and was occupied by missile assembly buildings, explosives storage bunkers, nuclear submarine training facilities, firing ranges, and various infrastructure and military support facilities. Portions of the property had supported military operations since the early 1900s. As part of the Installation Restoration Program (IRP), the Navy has adopted the framework of RCRA for addressing areas of known or suspected management or disposal of hazardous waste. During the ECP, GTA identified 101 Solid Waste Management Units (SWMUs) and Areas of Concern (AOCs) related to former military activities and operations, some of which were currently identified under RCRA. The remaining SWMUs and AOCs were primarily related to various former process and storage areas (e.g., munitions painting and disassembly, sandblasting, hazardous waste storage areas). GTA personnel observed the current condition of each of these areas as well as reviewed their environmental history. Approximately half of these units had a RCRA No Further Action (NFA) status and the remaining sites were in various stages of the RCRA Corrective Action process. 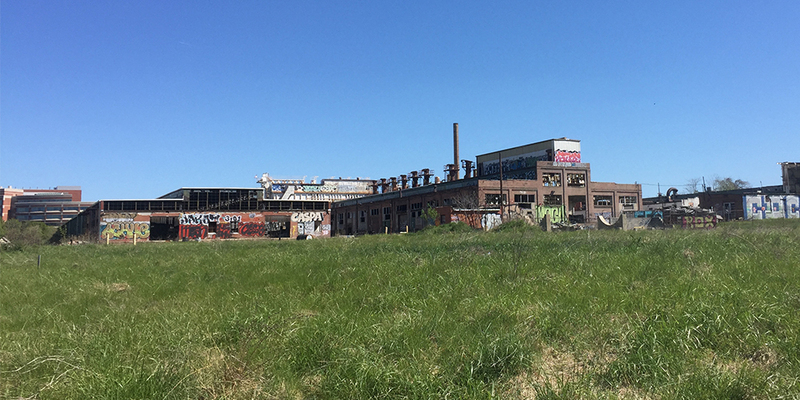 The subject property consists of approximately 19.97 acres of land located south of Eastern Avenue and east of South Umbra Street, in the eastern portion of the City of Baltimore, Maryland. The subject property contains 13 buildings and several support structures. These structures include several vacant industrial buildings, a vacant laboratory building, and a vacant warehouse. 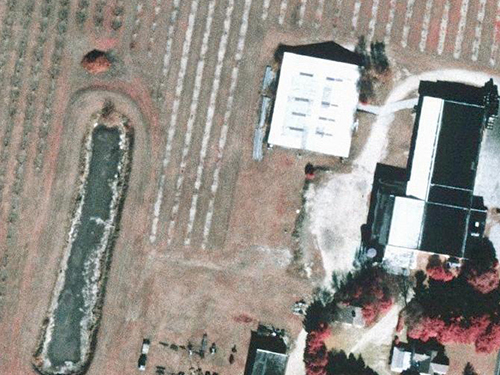 The remaining portions of the subject property contain asphalt parking lots, an inactive industrial landfill, and grassed areas. Historically, the Porcelain Enamel Manufacturing Corporation facility began operation in the early 20th Century, prior to which the subject property was vacant land. GTA has prepared Phase I and II ESAs for the subject property prior to entering it into Maryland’s VCP. In addition to regulated materials used in the manufacturing and maintenance processes, the facility historically generated waste in the form of off-specification product, recovered dust, and material settled from process discharge water and surface runoff. Until approximately 1979, off-specification product, smelter refractories, packaging materials, and general facility trash was placed in the approximately six-acre landfill on the southern and western portions of the subject property. 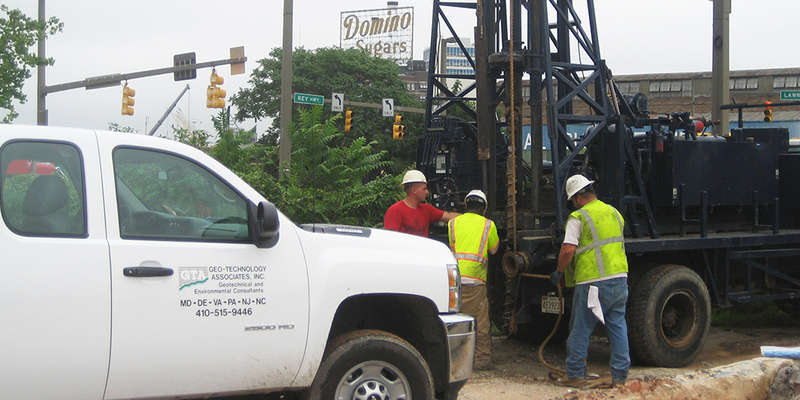 Groundwater sampling identified elevated concentrations of VOCs, SVOCs, and metals. Methane was detected in the central portion of the landfill. The subject property has also historically contained nine underground storage tanks (USTs), which ranged in capacity from 500 gallons to 12,000 gallons. The site is currently in Maryland’s VCP with an approved RAP in 2016 with additional USEPA oversight. 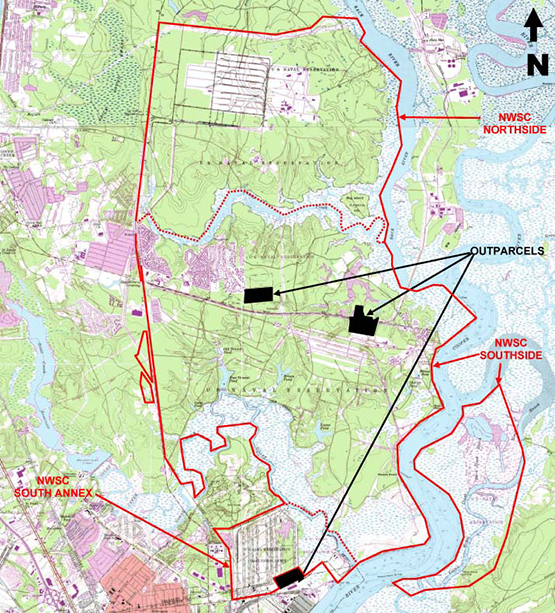 This RAP establishes a proposed remedy for impacted soil, soil vapor, and groundwater contamination within the site boundary in conjunction with the planned site development. The proposed remedies include removing USTs and potentially petroleum-impacted soil, the installation of vapor barriers and sub-slab vapor mitigation systems, and long term groundwater monitoring. The site is being developed for residential and commercial mixed use. GTA performed a Phase I Environmental Site Assessment (ESA) of a wooded 300-acre parcel proposed for single-family residential development. A prior Phase I ESA performed by another firm indicated a small pile of roofing shingles that might contain asbestos and no other significant environmental concerns at the site. GTA personnel performed a site reconnaissance, interviews with knowledgeable parties, and a records search at local historical societies and the National Archives in College Park, Maryland. GTA determined that, during World War II, the site contained a large munitions plant. It is believed that the M69 incendiary bomb, which is filled with napalm (i.e., jellied gasoline), was the primary ordnance manufactured at the site. 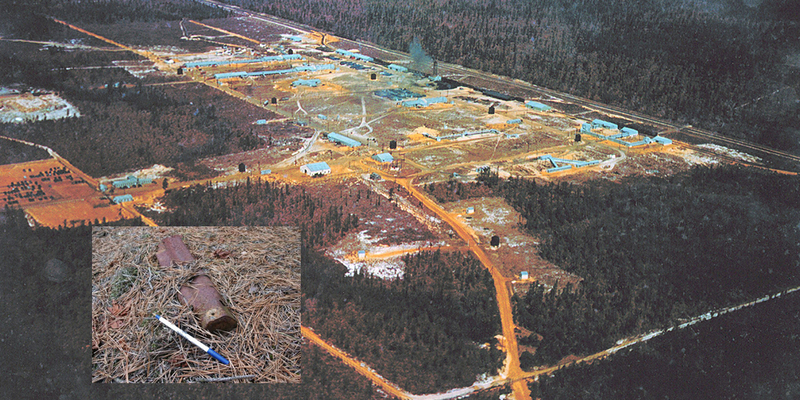 Recognized environmental conditions (RECs) associated with the former munitions plant include, but are not limited to, unexploded ordnance (UXO); ordnance and explosive waste (OEW); gasoline and chemical storage areas; incendiary bomb filling areas; maintenance areas; and a bomb testing area devoid of vegetation. GTA retained Explosive Ordnance Technologies, Inc. (EOTI) to perform a preliminary geophysical survey and subsurface exploration to evaluate specific portions of the site for the presence of UXO and other buried metallic objects using magnetic (MAG) and electromagnetic (EM) geophysical survey techniques. EOTI observed two M69 canisters on the ground surface, and metal parts/fragments associated with M69 munitions were observed on the ground surface and below grade. GTA performed surface soil sampling, and installed temporary well points, to evaluate soil and groundwater quality on portions of the site. Several heavy metals, including antimony, copper, and lead, were detected above the applicable soil cleanup criteria. Potential cleanup cost liability, including identification and removal of surface and buried explosive waste, was estimated at greater than $2M. GTA performed a Phase I and Phase II Environmental Site Assessment of a 285-acre active peach and apple orchard proposed for single-family residential development. GTA personnel collected soil samples on the subject property in general accordance with the New Jersey Department of Environmental Protection (NJDEP) Historic Pesticide Contamination Task Force recommendations. Arsenic, and the priority pollutant pesticides dieldrin and DDT, were detected in shallow soil samples above applicable soil cleanup criteria. Prior to development, regulatory compliance will be attained by blending shallow contaminated soils with deeper uncontaminated soils. Other methods that may be used to remediate pesticide-impacted soils include consolidation and capping beneath planned berms and roadways, “hot spot” removal (i.e., excavation and off-site disposal), and, in certain instances, compliance averaging. GTA has developed a multimedia seminar, “Harvesting Profits – How to Successfully Develop Tainted Farmland,” which has been presented to developers and home builders. The seminar illustrates how environmental problems came to exist on farmland properties; presents insiders’ information on how environmental firms identify and evaluate pesticide concerns on farmland sites; highlights the most cost-effective ways to cleanup contaminated agricultural properties; and provides tips to help you decide which solutions are right for your projects, how long they take to implement, and at what cost.